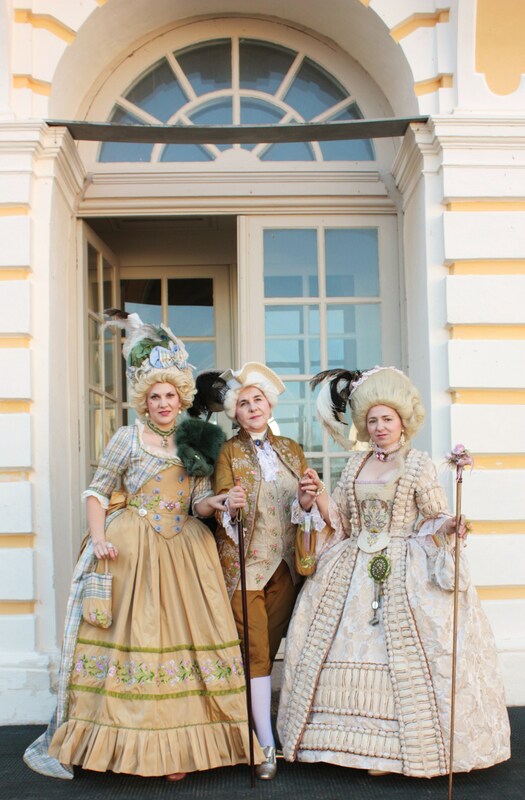 If you are expecting a lot of guests or you are planning to have a party, gala dinner, or some other social gathering in Rundale Palace, courtiers will have the pleasure to greet your guests and share the elegance and beauty of rococo style period. 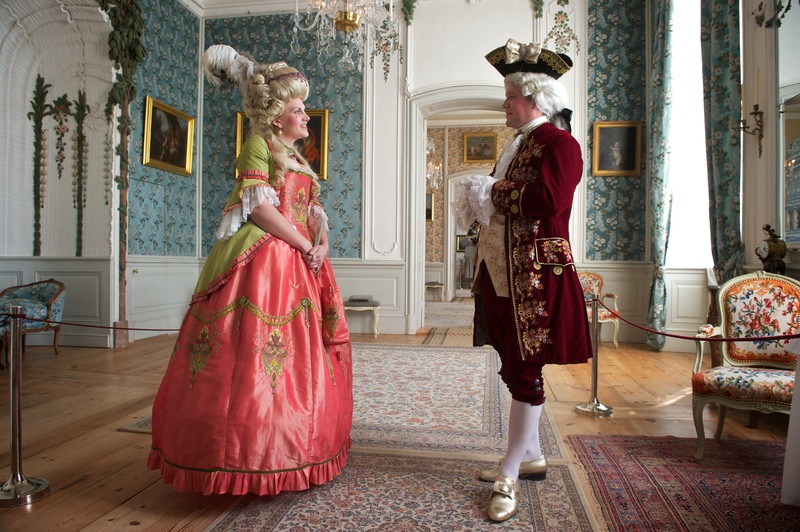 While your guests will be travelling from room to room with guides, courtiers will perform genre scenes in luxury salons to recreate the ambiance of this wonderful palace. 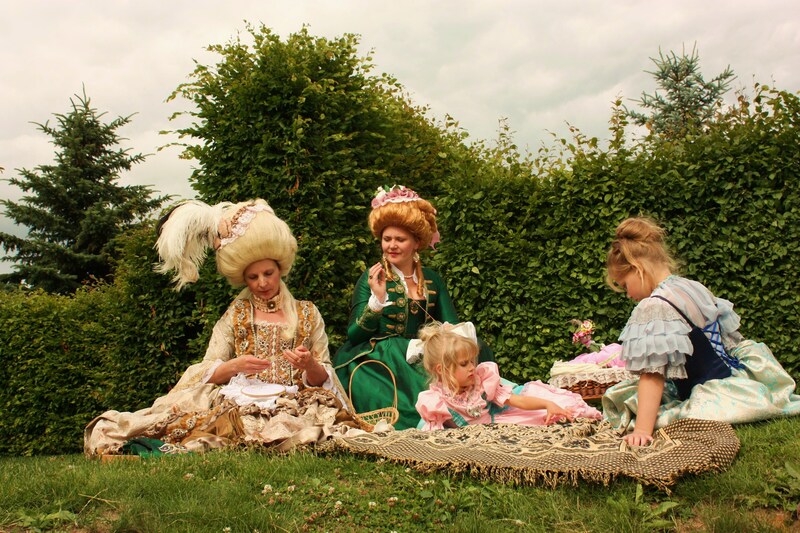 In full authentic costumes and with the aim to recapture the spirit of 18th century court life hosts will introduce story of the palace. 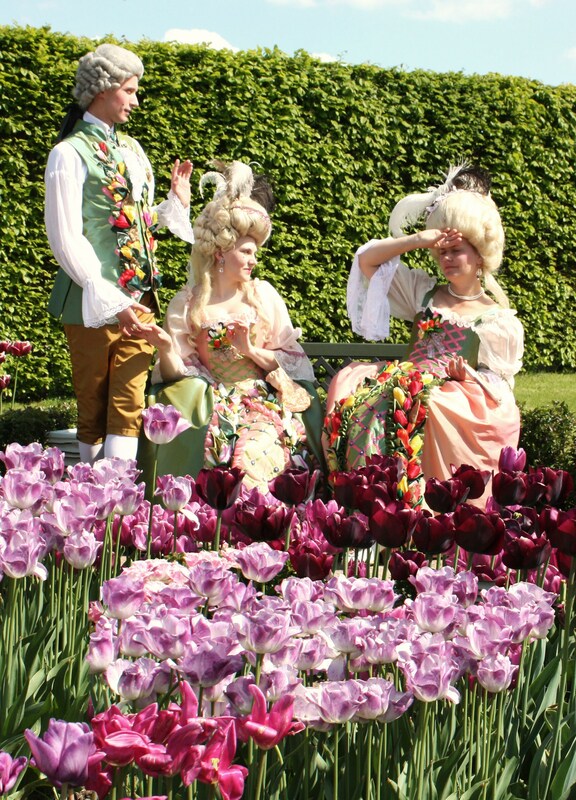 One cannot imagine an 18th century palace without its garden ‘a la française’ which celebrates the victory of art over the nature. 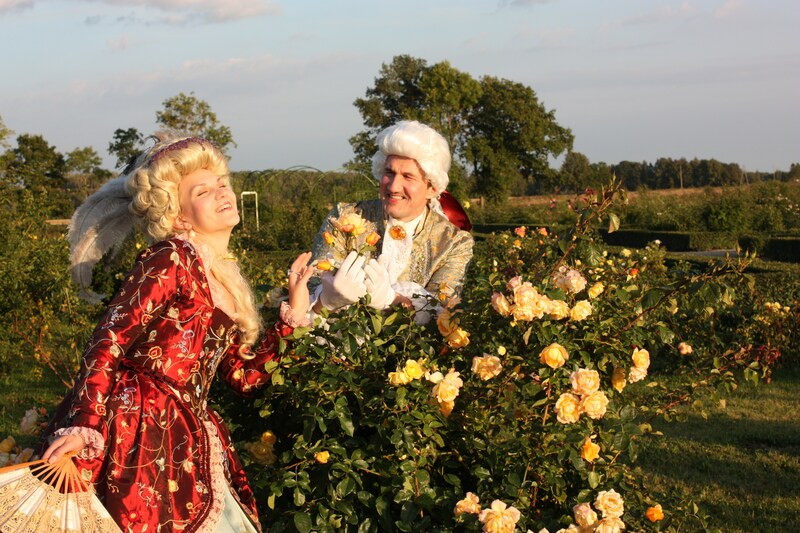 We always enjoy spending time in various bosquets and other romantic corners of the Palace Garden. 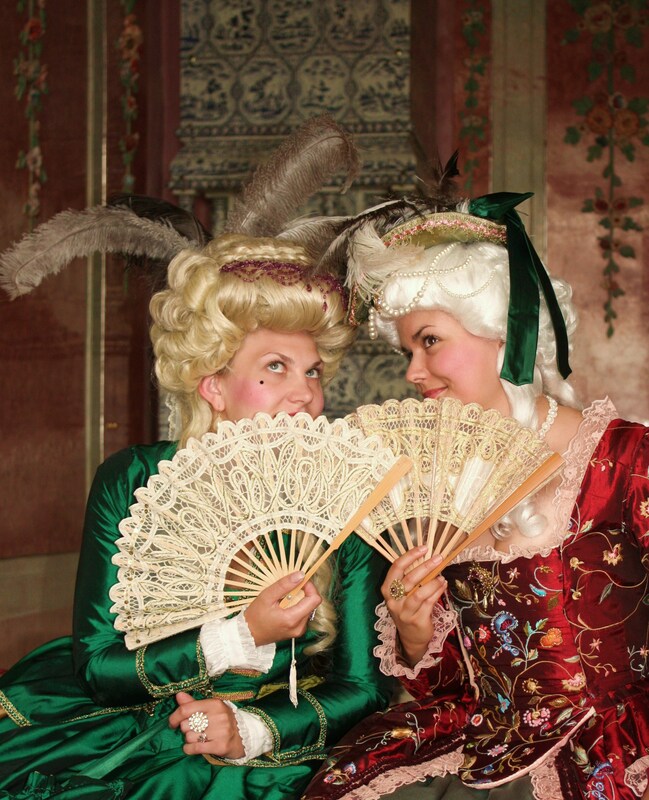 Let us share our joy with you while performing genre scenes of leisurely outings of aristocratic couples. We are happy to tailor our performance to meet with your individual preferences and venue of the event.